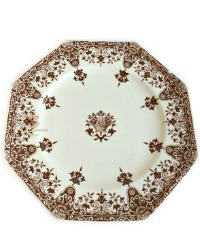 Beautiful and rare to find set of four Antique French Rouen Dinner Plates in Brown Transfer, with a most unusual octagon shape, especially for the late 1800's early 1900's. Made by Longchamp, Dijon, France, the Longchamp factory specialized in barbotine, oyster and asparagus majolica, and unusual dinner services. This pattern, Rouen, features a decorative floral basket surrounded by a deep, ornate border design in rich, chocolate brown. Rare to find a collection in any number. 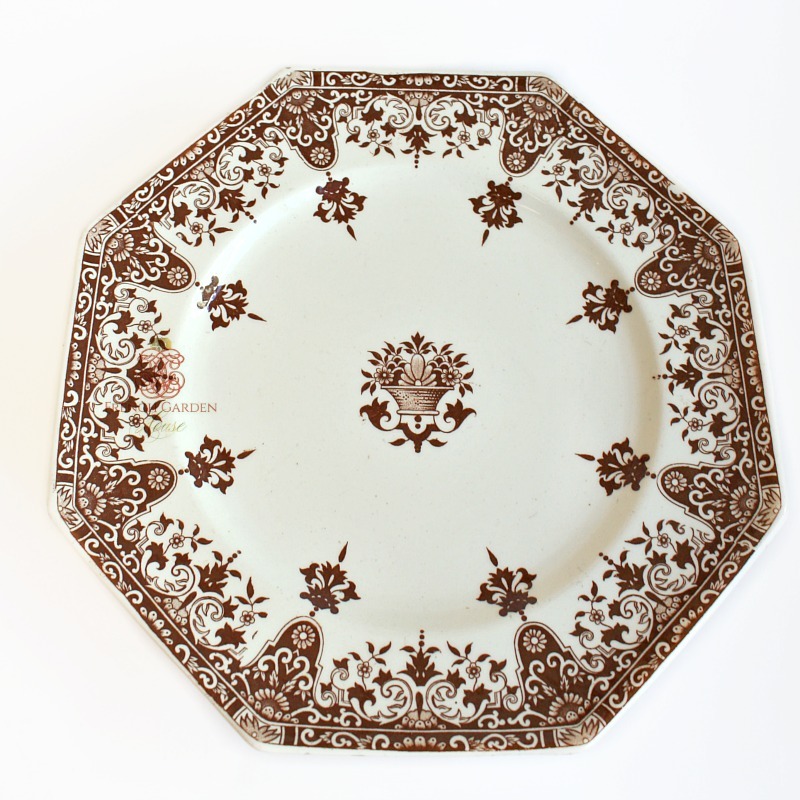 These plates are over 100 years old, some may have a small chip here and there, all are beautiful! 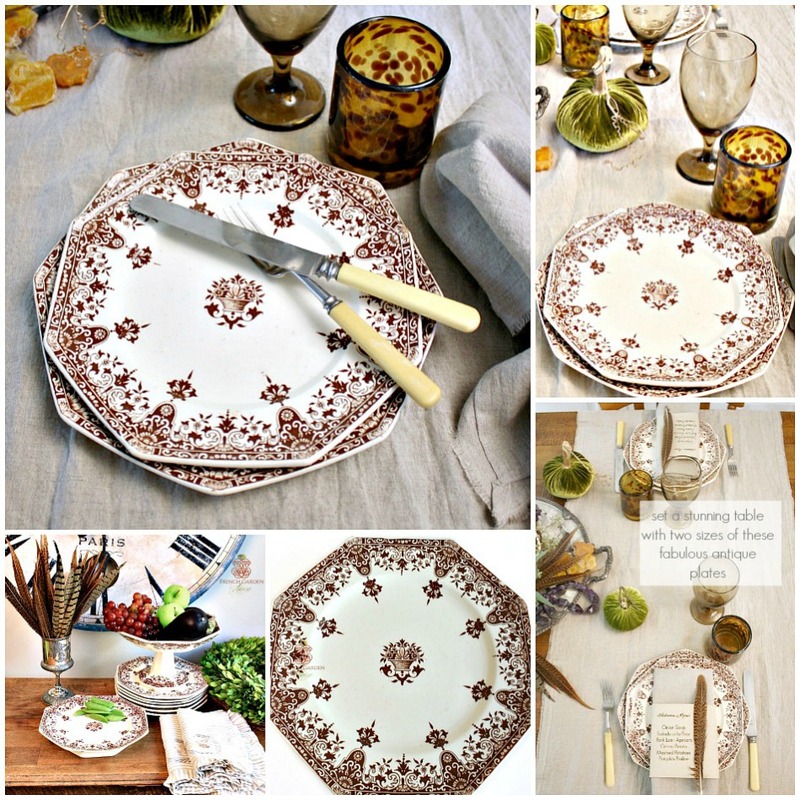 A fantastic addition to your brown transferware collection, set a storied, personal table with these antique plates. 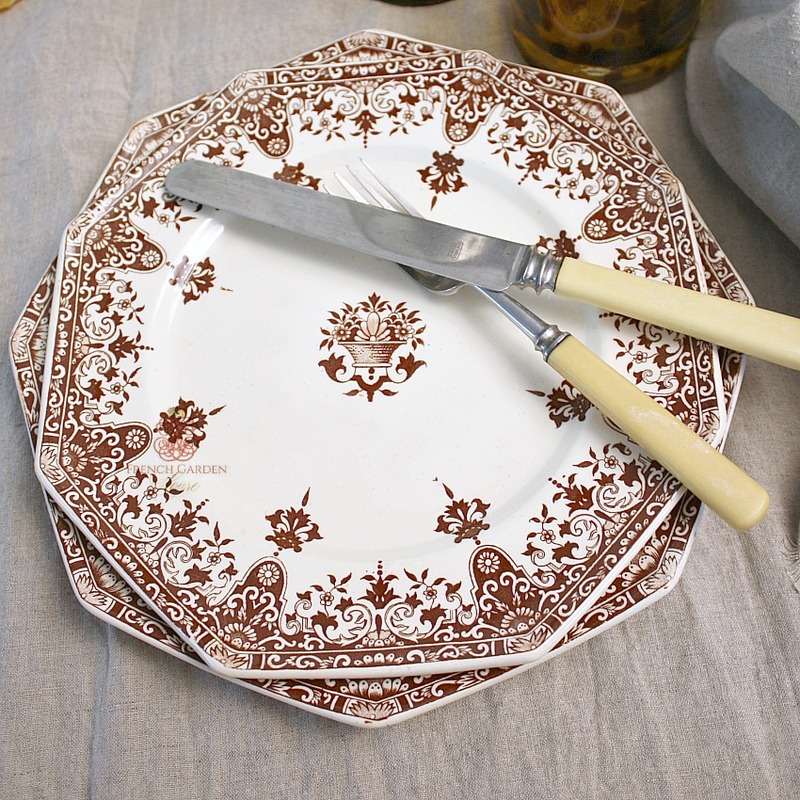 Your guests will discover the beauty and quirkiness of antiques, and a table setting only you could design! 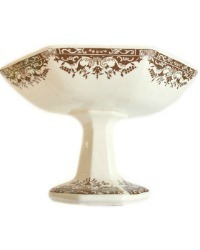 Use these with the larger plates for a stunning setting, these are perfect for salad, luncheon, or dessert.